I suppose you could say that Jane Austen was actually the first, but while she simply wrote about life in the time in which she lived, Heyer had to do so from a distance of a hundred years. 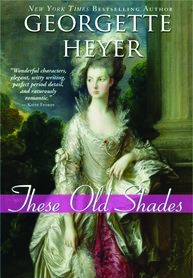 Heyer took pride in the historical authenticity of her novels, which was possible only as a result of a great deal of research on such things as daily living, fashion, transportation, famous personages, and the language that was used at the time. 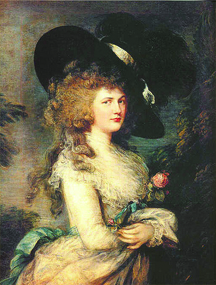 While critics complained that her books included too much detail of daily life at the time, in reality, this was necessary because Heyer’s readers needed it in order to understand the historical setting. 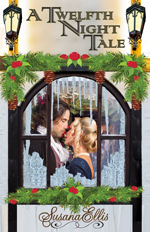 And in Heyer’s stories, the setting is nearly as important as the plot! 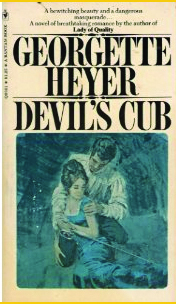 Heyer’s first novel, The Black Moth, was written in serial form to entertain her brother in his sickbed. 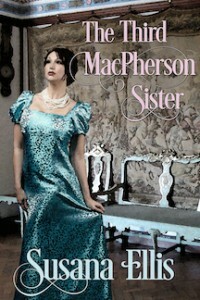 Her father liked it so much that he sought to have it published, which it was, in 1921. 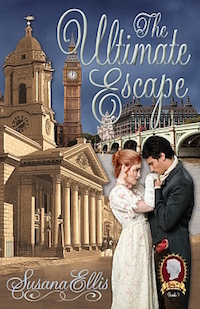 In 1935, the first of her Regency romances, Regency Buck, was published, and even though she also wrote thrillers and a few contemporary pieces, her Regency romances far outsold them. In spite of the fact that she refused to do anything to promote them. And that was how it all started. 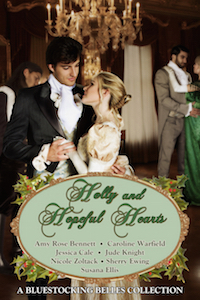 After reading all of Heyer’s Regencies—more than once, mind—I moved on to other authors. Historicals were always my favorite, but the Regency time period has always had a special place in my heart. Why? I’m not sure I can pin it down. I did make a stab at it in a recent blog post for The Romance Reviews, though. If you haven’t discovered Georgette Heyer’s Regencies yet, don’t wait any longer! And if you find yourself as crazy about them as I am, you might want to buy the whole lot of them. 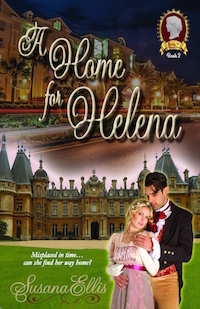 Last year, all of her books were made available for $2.99 each during the month of August, Heyer’s birthday. Make a note in your calendar and stock up! 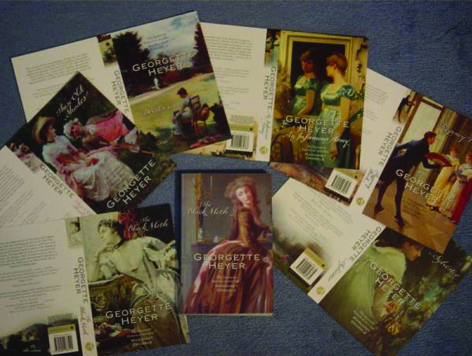 Which of Georgette Heyer’s books is your favorite? What do you like most about her stories? 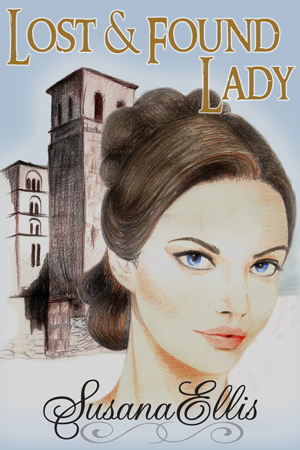 Susana (to the Reader): Lady P took to driving like a duck to water, except that she has no sense of distance and thought she had to press the accelerator down to the floor. There was a point when I saw a pole looming closer and closer and was convinced we were both goners when she jerked the steering wheel and swerved away, narrowly missing it, but running straight through a deep pothole that would have jerked us out of our seats had we not been wearing seat belts. To make a long story short, the car is in the shop for the next several days—I told them to take their time fixing it—and so Lady P and I are walking and begging rides with friends for awhile. My next-door neighbors, Stephanie and Derrick, invited us to go with them to the Hollywood Casino that opened last year in Rossford, and Lady P wanted to know more about it. Lady P: A casino? Where people play games of chance and lose their fortunes? Susana: Well, I don’t know about that last part. I think a few people must win. But there are other things to do there besides gamble. Lady P: Oh, I know about that. Pendleton told me about the painted ladies upstairs. Susana: Oh no! I didn’t mean that. I mean, there are no painted ladies there. There are several restaurants—my friend Ray works as a cook there and he says the food is excellent. Lady P: So people go there only for a good meal? Susana: I think they have entertainment and dancing on weekends. But…I don’t suppose that would appeal to you. Lady P: Why not? 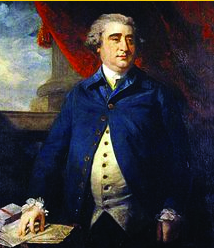 I was told once by my friend Charles James Fox that I am one of the best dancers in the ton. Susana: Er, it’s not that kind of dancing. It’s modern dancing. But perhaps you’d be more interested in the slots. Lady P: The slots? Is that a dance? Susana: No, the slots are machines into which you insert money, push down a lever to make the pictures spin, and if you get just the right combination, you win more money. Lady P: And if you don’t? Susana: You lose. Most of the time you lose, actually. But it’s fun to watch the little pictures spinning around and the excitement of waiting for the machine to stop to find out if you won anything. And the clanging and ringing noises the machines make too. I like the slots. Lady P: How much money have you won from the machines? Susana: Well, once I won about 150 quarters, but I spent them all trying to win more, and ended up losing about $60 overall. Lady P: Indeed. You sound very much like dear Georgiana Cavendish, the Duchess of Devonshire. Such a lovely woman, before she took ill. Very popular, quite a leader of society. Charles Fox was her cousin, in fact. I was sincerely fond of them both, but they had quite an appetite for games of chance. Especially Georgiana. I knew her since her marriage, and every time I saw her—at parties or balls or even political dinners—she’d find her way to start some sort of game of chance. Why, at Lady Fontaine’s Venetian breakfast, she took a deck of cards out of her reticule and won 400 guineas from her hostess’s mother. Of course, the next night she lost 1,700 and had to beg her husband for the money to pay it. But instead of paying the debt, she had the notion to try to increase it, and before she knew it, she had lost all of it, plus more. Susana: I imagine her husband was livid. Lady P: You don’t think she ever told him, do you? Indeed not. She simply couldn’t bring herself to do it, unless the dunns were at her door. In any case, Pendleton told me Devonshire was similarly afflicted. Quite a pair, those two. Why, I heard she had lost nearly a million pounds in her lifetime; there’s no telling how much more he lost. Susana: A million pounds? Why…that would be—let’s see, where’s my calculator—oh my goodness—over a billion dollars today! Lady P: Indeed. Georgiana told me once that her pin money was 4,000 pounds a year, which would be enough to provide her all the gowns and fripperies she could possibly desire. Her sister Harriet had only 400 pounds, but she managed to drive her family into bankruptcy. Georgiana had to bail her out of the Fleet Prison when she was arrested for debts. Susana: The gambling fever tends to run in families. You say her cousin was a gambler too? Lady P: Such a shame. He was an amiable gentleman. Even after he got so fat and they circulated all those cartoons ridiculing him. But he had no self-restraint at all, poor man. Pendleton told me the night before he died, Fox had been drinking most intemperately, and the doctors said his liver was hard as a rock. Susana: Oh dear. I’m suddenly not feeling like a trip to the casino. What would you think, my lady, if we were to order a pizza again tonight? Lady P: Italian food again? In my day, it was French food that everyone doted on. Susana: There is no French restaurant in Toledo, and we have no vehicle to travel up to Detroit, so it’s either pizza or the McDonalds across the street. Lady P: I suppose the pizza will do, since you only have the one vehicle. But no anchovies this time, if you please. Wine too, if they have it. I didn’t care for that strange bubbly drink they brought last time. Susana: They don’t sell alcoholic beverages, but I have some red wine somewhere. Lady P: Excellent. And then perhaps I can tell you about the discussion I had with Pendleton when he returned from White’s in the early hours of the morning with pockets to let after losing a hundred pounds. Well, we were newly married at the time, and after the talking-to I gave him, he never did it again. Have I mentioned that I can be quite convincing at times…? Susana (to the Reader): As you can see, Lady P thrives on recounting all of her experiences in Regency England. If you have any questions you would like to ask her, or possible suggestions for outings—when the car is repaired, of course—please mention it in your comments, and I’ll do my best to get answers for you.